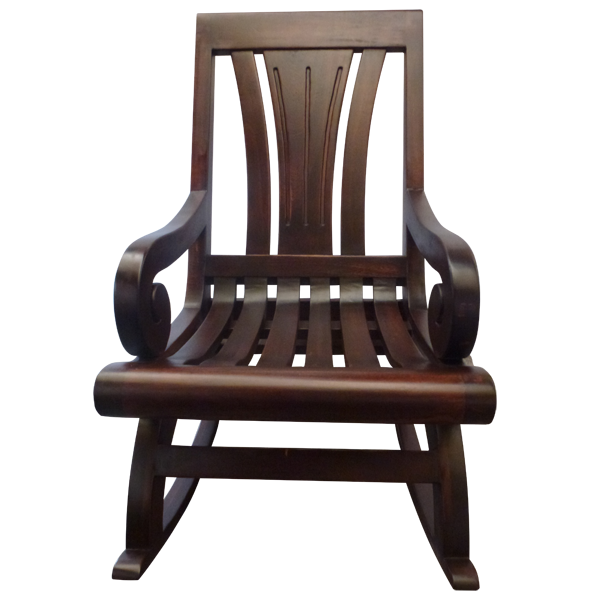 This solid wood, handcrafted rocking chair has a graceful silhouette, and it features a tall seat back, a wide slatted seat, and comfortable armrest. The seat back has a center wood splat, adjoined by a smaller splat on each side. The curved armrest end in hand carved, scroll designs. The legs have a lovely, curved design that match beautifully with the rockers. 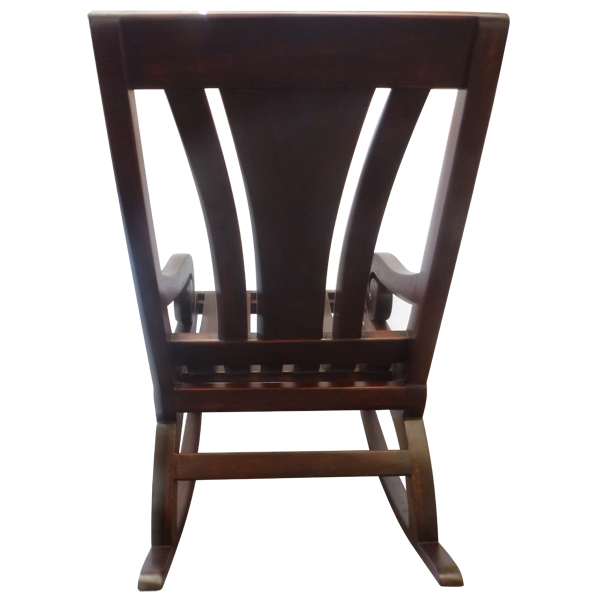 The legs are joined by crossbars in the front and in the back of the chair. We have a wide variety of stains available, and there are many options for the finish of this chair. 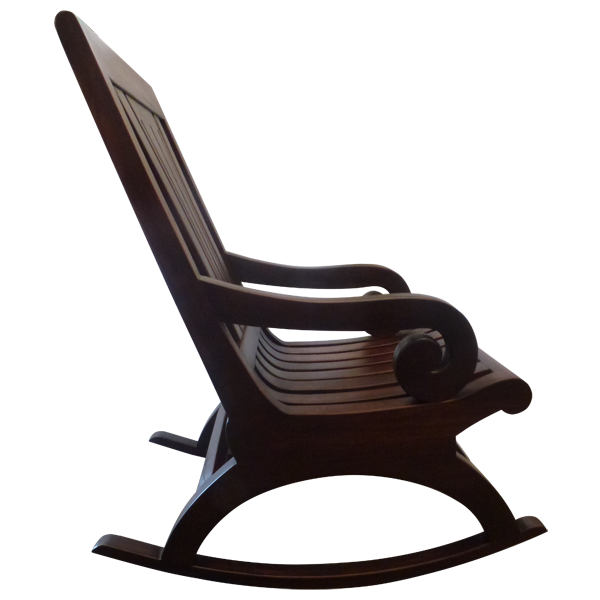 Both beautiful and durable, this rocking chair is made with the best, sustainable, solid wood available. It is 100% customizable.